We use the latest cutting-edge technology to get silky-smooth skin, free of unwanted hairs. Laser hair removal offers a permanent reduction in unwanted hair, for long-lasting, smooth results. Discover the difference with laser hair removal in Ottawa. At SKINS Derma Care, we use the most advanced lasers available to deliver exceptionally smooth and stunning results. Whether you want to get beach-body ready for the summer or simply want a fresh, smooth feeling no matter the weather, laser hair removal offers exceptional results that last. 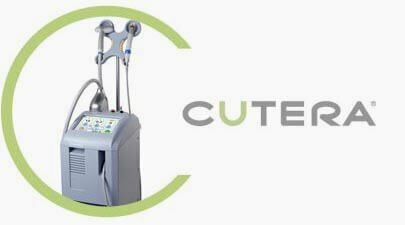 Best of all, Cutera’s Nd:YAG laser is the only laser system that can safely treat skin of all types and tones, including dark and tanned skin. Cutera’s Nd:YAG and ProWave lasers use state-of-the-art technology to remove hair from all skin types. Cleared for permanency and safety by both the FDA and Health Canada, these lasers provide comfortable and long-lasting hair removal treatment you can count on. Laser hair removal treatment targets pigments in the hair follicle. Laser pulses damage the follicle, destroying it and ensuring it will not return. Each pulse lasts a fraction of a second, ensuring your comfort and safety. Every treatment begins with a consultation at our modern facility to discuss your laser hair removal needs. We’re always happy to answer any questions you may have regarding treatment and to discuss the laser technology we use. We have several laser technologies to meet the individual needs of our clients. We will discuss what laser is best suited for you in your free consultation. Immediately following treatment, you will notice a clear reduction in hair growth in the treated area. Optimal results typically take several treatments. Following a course of successful treatments, hair follicles will be permanently eliminated with permanent results. In general, 3 to 6 treatments are needed for optimal long-term results, though this may vary depending on treatment area, hair thickness, and hair growth cycles. We recommend a course of treatments to ensure all hair follicles in the hair growth cycle receive treatment. What sets laser hair removal apart from other hair removal methods? Unlike shaving and waxing, laser hair removal is a permanent hair removal and reduction method. And unlike electrolysis, laser hair removal is far less time-consuming. Laser hair removal is ideal for permanent hair removal over larger treatment areas. We clean the targeted area using a mild cleanser. You may notice a slight reddening surrounding hair follicles, but this usually vanishes within an hour. We advise you to keep the treated area cool and clean for 24 hours after your treatment, avoiding strenuous exercise or sweat during this time. This will help ensure optimal results. If the treated area is exposed to the sun, use a sunscreen to ensure it’s protected, or cover up with clothing. Will this work for all skin types and tones? Yes! Laser hair removal effectively and safely treats all skin types and tones. Darker skin tones may require lower and longer pulse widths to ensure optimal results and to avoid any potential damage to the epidermis. Are there any potential side effects to laser hair treatment in Ottawa? Yes, though very few patients experience them. The most common side effects include a reddening of the treatment area, in some cases accompanied by a mild tenderness and/or swelling. In most cases, these issues resolve in several hours. Much less common side effects include blistering.